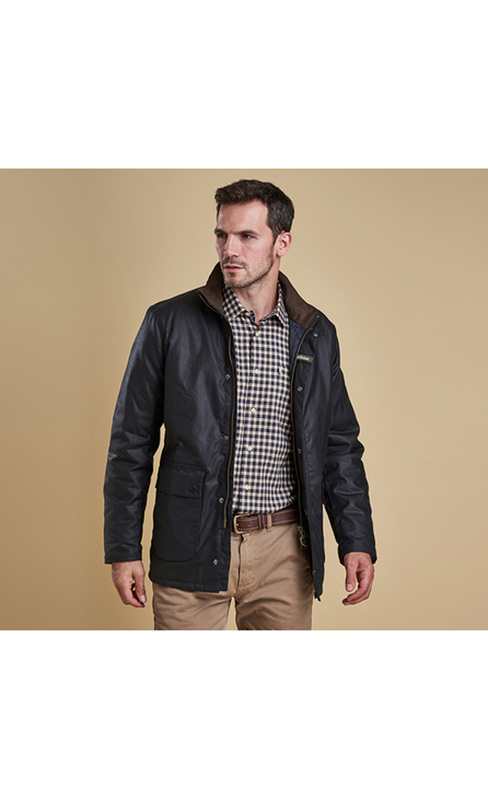 The Barbour Guillemot Wax Jacket is designed with practicality and performance in mind. The heavyweight waxed cotton outer features adjustable rear tabs and studded patch pockets with side entry. Sueded microfibre trims the inner collar and outer collar stand. Back length: 78.2–81.2cm | 31–32"